Norway's farmed salmons are displayed at a supermarket, on December 21, 2012 at the Kremlin-Bicetre, outside Paris. A technological creation that has consumers swimming the other way. 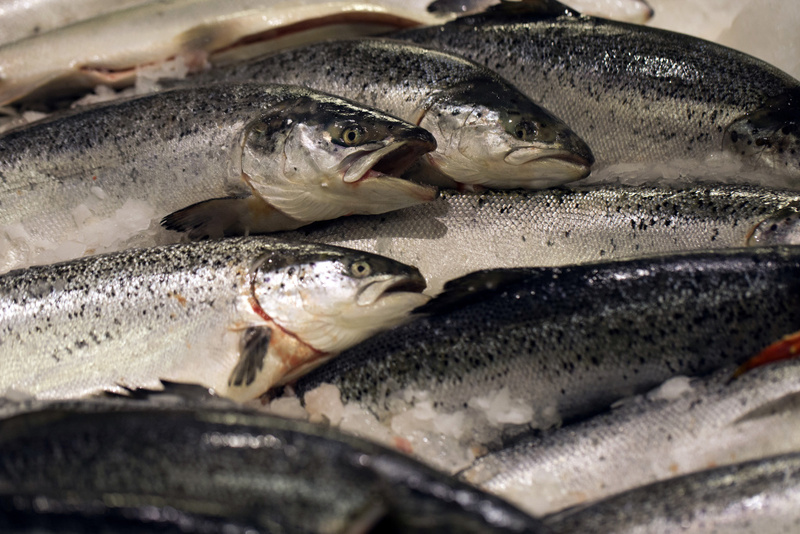 This week, several large grocery chains, including Whole Foods and Trader Joe's, agreed not to sell genetically modified salmon. The salmon has yet to be officially approved by the FDA, but if it is, it will be the first transgenic animal to enter the food supply. Some international tech workers in Silicon Valley ask, why stay?